A new wearable brain scanner. It may look like something befitting Halloween’s Michael Myers, but the device pictured above is actually a breakthrough in neuroscience—a portable, wearable brain scanner that can monitor neural activity while a person is moving. Most brain-scanning technology is rather unwieldy. Think huge, room-sized devices like fMRI machines. But measuring someone’s brain activity while they’re wired up and packed like a sardine into a giant scanner has its limits. For one, it can be hard to measure the cognitive development of babies and children, who tend not to stay very still. And it’s difficult to study things like spatial navigation and movement disorders, which require people to, you know, move around. While the new scanner certainly isn’t fashion-forward, it could open up a host of new applications for brain scanning. The project was developed by researchers at the University of Nottingham and University College London in the U.K. and is described this week in Nature. It uses a technology called magnetoencephalography, or MEG, which measures magnetic signals generated by the brain’s electrical currents at the scalp. With mathematical analysis, those fields can be used to create a 3D map of brain function with millisecond resolution. MEG is a technique already in use to study the brain, but, like fMRI machines, MEG systems are typically cumbersome and require remaining fairly still. 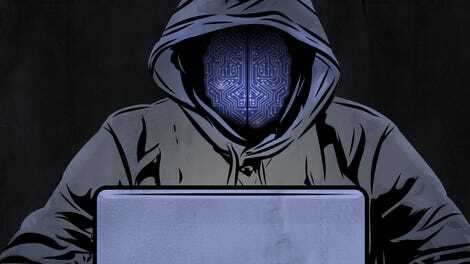 But British researchers managed to shrink the technology down to an over-sized helmet with the help of quantum sensors. Each sensor contains a gas of rubidium atoms with properties aligned by a laser beam. Brain activity can cause a tiny magnetic field, and thus induce tiny changes to these atoms, decreasing the intensity of the beam. All this allows for a sensor that doesn’t need to be supercooled the way competing scanners do. 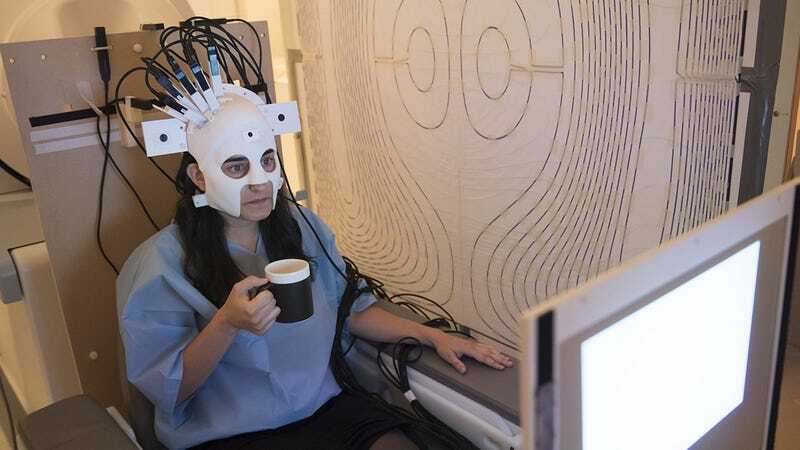 In tests of the device, they note that the technology also enables scanning of the brain during more natural activities, like drinking a cup of coffee. Other groups, like the neurotech startup Open Water, hope to miniaturize brain-scanning technology, enabling not only new research avenues but constant brain monitoring—and maybe, they say, even the ability to read people’s thoughts in real time.